Lowest Prices Guaranteed on Deal Jackets in 20 colors for your car dealership. 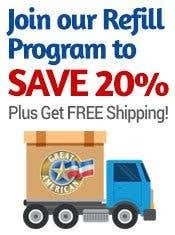 Order today from Great American! Standard Vehicle Deal Jackets Organize your deals by franchise, model year, new and used or month! Available in 20 colors - the largest selection anywhere! Organize your deals by franchise, model year, new and used or month! Rounded corners for easy handling. Higher front lip for easy opening. Available in 20 colors for easy color coding. Create the perfect organizational system by using a different color for each franchise, month, new and used, model year...whatever system works best for your automotive dealership!